Re: Sequels - The Hulk is one OF the Avengers, so Stark and Ross were meeting to discuss how to go about making that happen. The Avengers movie is due out... 2011? I think a Hulk sequel is scheduled for 2010. So Sterns' brainiac badguy (The Overlord I think? I can't remember his name right at the moment.) will be in the sequel, and then the Avengers would have the Hulk as well. As for Norton, there was a dispute over something (the script maybe?) when the movie underperformed (still had a 400 million worldwide gross when all was said and done, but leave it to Hollywood to complain over that). So now it's up in the air as to whether he'll return. I hope he does... far better Banner than Eric Bana. The Norton Hulk wasn't bad, much more exciting than the depressing Ang Lee version, but still the CG looked pretty weak at times, not as good as some of the Spider Man and Iron Man stuff. But I guess rendering flesh, even if its green can be pretty hard to make realistic under certain circumstances. Lets not forget the Captain America movie, which is titled, Captain America, the First Avenger. It will probably be the Cap from the 50's before he gets frozen in the article, not sure if Bucky will have an appearance. The mention of Dr. Stern's as strange had me thinking they might have a DR. Strange movie in the works, which would be awesome. Lets not forget the Wolverine that's in production currently. Why would the Avenger be after Hulk? 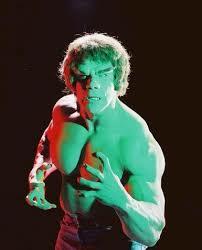 At the end of the movie he (Hulk) seemed like a good guy. Aha, I took it the wrong way. Sounded to me as if they wanted to go hunt him down. I really hope Norton comes back though.